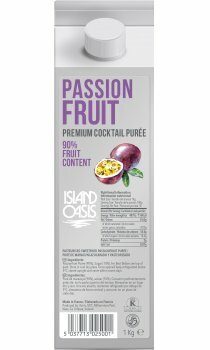 The passion fruit is sourced from 2 different areas of Ecuador and Peru. The Passiflora Edulis variety is used which has a nice yellow-orange colour and a tart flavour profile with a nice floral release on the finish. Passion fruit is not only delicious but is widely reported to help you relax, reduce anxiety levels and sleep better.